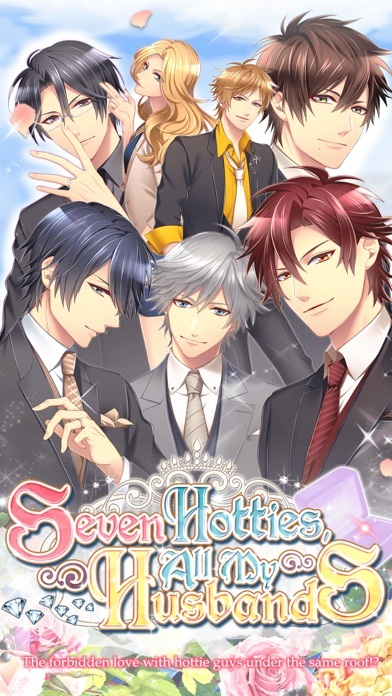 Be the wife of 7 HOTTIES and enjoy life in a luxury mansion with them! Be my wife and have my heir... Your scent is so sweet…. I’m going to hold you tight tonight. You have to choose one of us to spend the night together with. Suddenly you become the wife of all of these 7 handsome men at once! However, you will have to follow 3 requirements as their wife... [Story] You are working as a freelancer designer. Everything is good so far with your job, but you haven’t been so lucky in the boyfriend department. I want to marry a hot guy! You shout out as a shooting star suddenly flies by... The following morning, you wake up in a gorgeous castle-like mansion! And just who is the guy hugging you so tight?! [Your Hot Husbands] ・Ayato Kamishiro The descendant of a major firm existing from the 1800’s. You’re not yet aware of your position as my wife. You want me to teach you more? Choose this arrogant and aggressive guy as your only husband and unveil a different side of him! ・Shizuki Tojo The young & distinguished film director in the movie world! I need you to show me what the meaning of being a couple is. You begin with being a fake couple, but in the end his pure feelings changed into passion for you. ・Tsubasa Suo The hospital director and ace surgeon. You have a high temperature. Have you caught a cold? Or perhaps you’re excited to see me...? Your new husband dresses in white and is skilled with his hands... ・Taiga Kirisame The young IT entrepreneur who’s listed in the world's richest men! Did you underestimate your big bro? Coming at you with sweet words, but in truth he's a carnivore! ・Haruto Kagurazaka The charismatic rock star that appears in all the gossip magazines. Teach me what true love is. The young, but skillful trickster. ・Toya Kagurazaka The genius music writer surrounded in mystery. I won’t allow you to speak to any other man than me. Can you as his wife accept how he wants to totally dominate you? ・Soichiro Tachibana The corrupt lawyer with ties to the underground. How much do you like being in pair? The sadist who has a child…?! 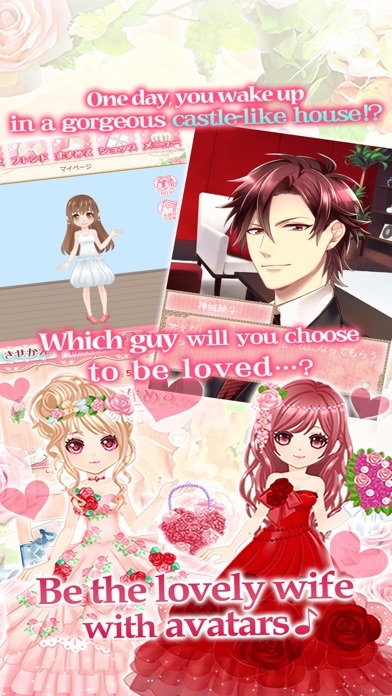 He will kindly train you too... *** Part of the popular dating game genre for girls, from Japanese based company Arithmetic! Now, you just select your favorite guy among those and begin your new life! Their burning love for you is so hot so that it’ll set you a light too! Make your day special with your ideal husband! [East to play!] ・You can read 5 scenarios for free every day. ・Customize your Avatar with a huge catalogue of clothes & accessories! ・As you progress through the main story, you’ll get special messages from your husband! ・Read different endings depending on your husband’s Affection level. ・Participate in limited time only events and read special scenarios that are only available during that period! ・Cast your vote and get scenarios with gorgeous illustrated CGs! ・Get bonuses by inviting your friends! ・When it is one of your husband's birthday, there will be a special party event held for a limited time only! ※Free-to-play game with in-game purchases. I love playing this game. The only issue is the translation part can sometimes be iffy. I really love this game. I think they need to work on translation. 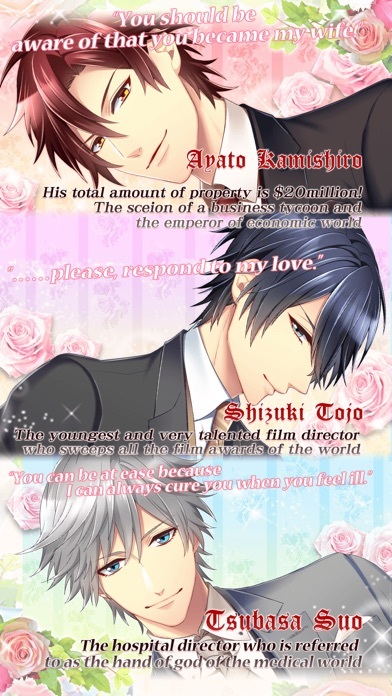 The stories are a great read for a free Otome game! It’s good and I like that all the stories with each guy has different story lines.